Brighton boss Chris Hughton says Peter Crouch is "a brilliant ambassador" for English football as he prepares to be reunited with the veteran striker. Former England striker Crouch, 38, progressed to the professional game under Hughton at Spurs in the mid-to-late 1990s. 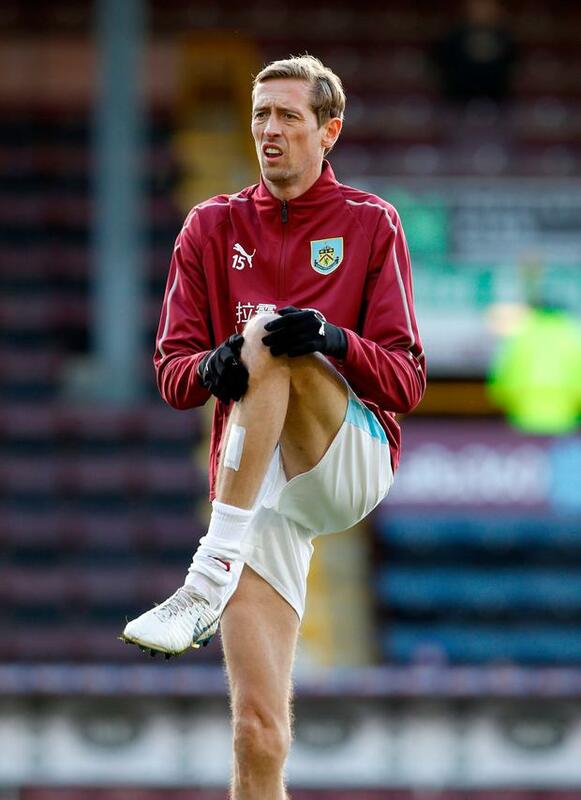 The lanky hitman looked to have bid farewell to the Premier League when he was relegated with Stoke last season. But a deadline-day transfer to Burnley marked a fresh chapter in his career and he will be keen to prove his worth in the top flight when he comes up against former youth-team coach Hughton at the Amex Stadium today. "He's a player I knew very well in my years as a coach at Spurs and him being a young player in my group," said Hughton. "I'm delighted to see him playing at the top level for as long as possible. He's a good lad and you can't play until that age unless you are dedicated to what you do. "He's a brilliant ambassador for our game. "It will be nice to see him, hopefully he doesn't play too well against us."